The following is a collection of some architectural photography highlights from the first half of 2014. I was crossing Victoria Harbour in a ferry from Hong Kong to Kowloon while an intense storm was brewing on the horizon. 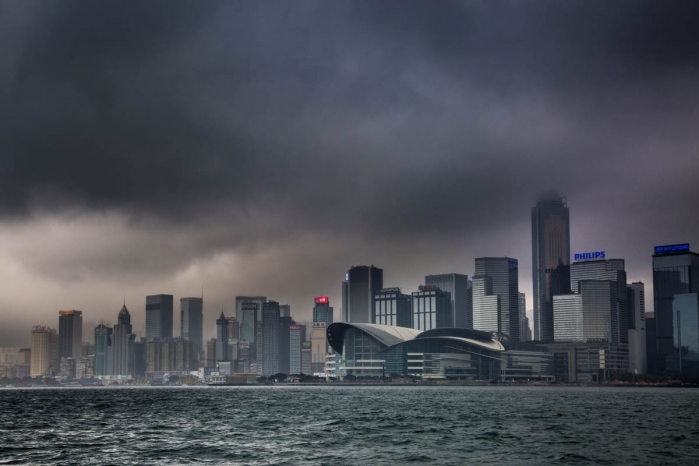 The low-lying clouds and monochromatic skyline made for quite a dramatic image. 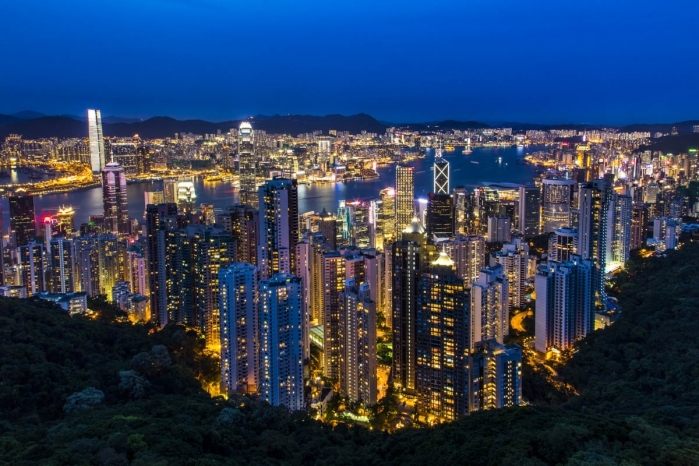 Later that week on a nicer day I hiked up to the top of Victoria Peak and captured the image below. After a very intense two months of travel photography assignments early this year (China on two separate trips, Thailand, Las Vegas and Hong Kong), I managed to get myself completely worn down and exhausted. Long story short, I ended up in a sealed quarantine room at Kelowna General Hospital after going into the ER virtually unable to move. After explaining that I had just returned from Hong Kong, ER staff had a mask on me and tossed me into a sealed room faster than I could say “outbreak.” After seven lumbar punctures (yes, seven spinal taps), it was determined that I had contracted meningitis. I could have picked it up anywhere, just like the common cold or flu, but because of my exhausted immune system, it attacked with a vengeance. It was my first major travel health problem and thankfully I was back in Canada to deal with it. Apparently I beat a Kelowna General Hospital record for fastest recovery time from meningitis. The real problem was that after the lumbar punctures, I was leaking spinal fluid from my lower back. So I laid in the hospital, unable to walk or sit up, for a week. Four days after learning to use my legs again, I was into pre-production planning for our next photoshoot for Bellstar Resorts based in Calgary. 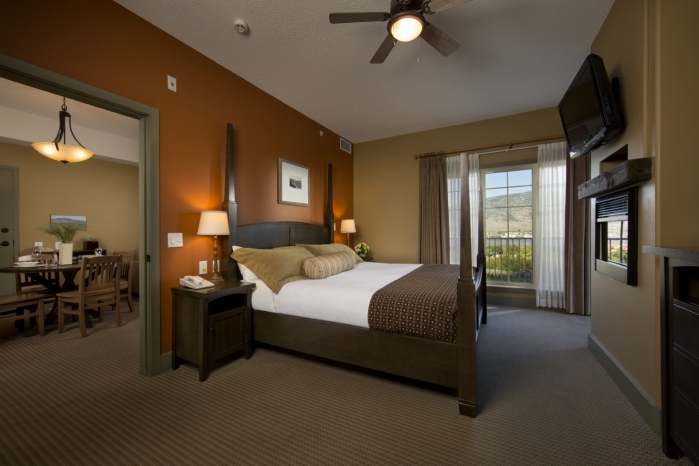 Our first resort for Bellstar was Spirit Ridge in Osoyoos, BC. We were tasked with capturing architectural photographs of some of their beautiful rooms. 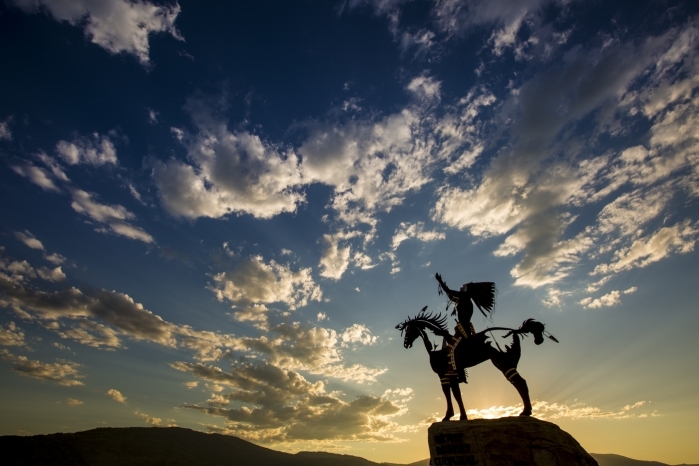 I also took the opportunity to capture a stunning sunset behind their iconic statue at the entrance to Spirit Ridge Resort. 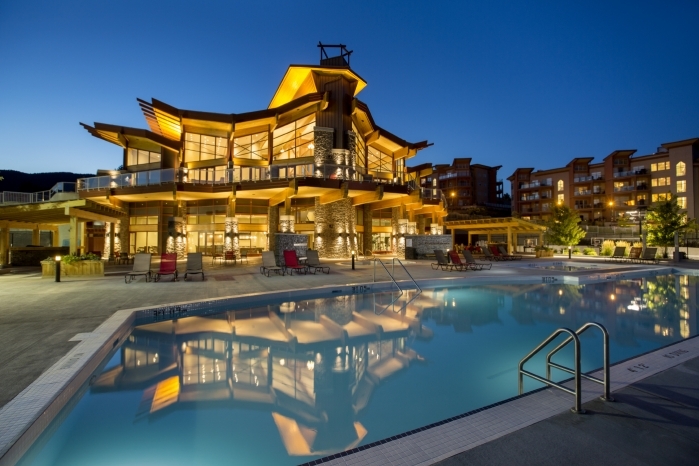 Our assignment with Bellstar then took us to Parksville, BC where we had the opportunity to photograph room shots of the Beach Club Resort. This spectacular property is located on a beautiful sandy beach which, when the tide is out, stretches almost two kilometers out to sea. You can see this through the window in the photograph below. After we completed our assignment for Bellstar Resorts we were off to Pender Island to photograph a gorgeous oceanfront home. 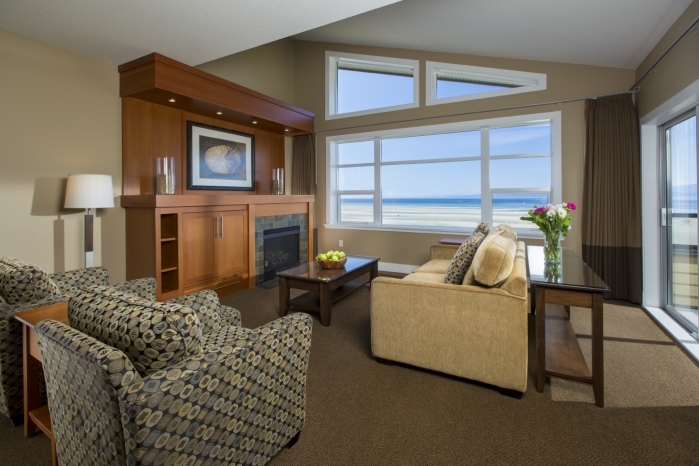 This entire property is being sold through an unreserved live auction taking place on August 22, 2014. 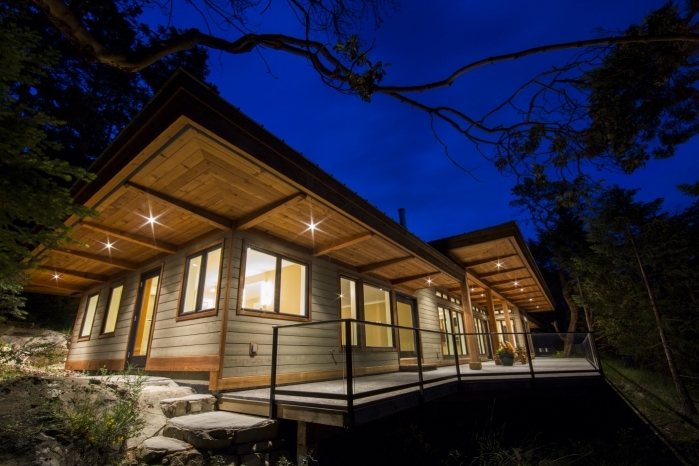 100% of the proceeds from the property are being donated by the home owners to the BC Cancer Foundation. This sale is being marketed by our wonderful and supportive client, The Garage Sale. We were thrilled to volunteer our services on this photoshoot in support of everyone’s efforts. 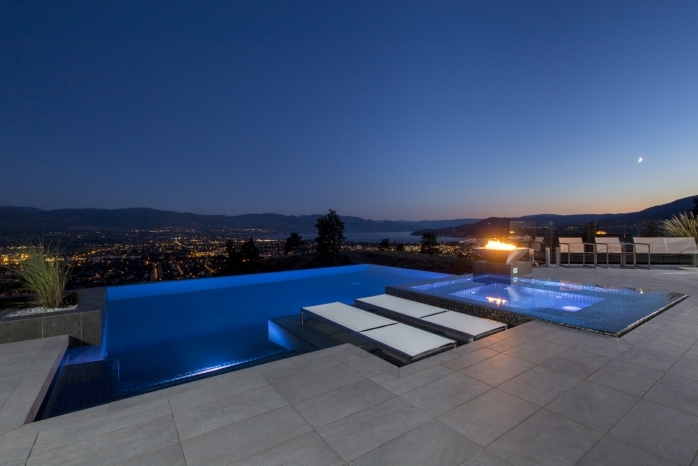 As an architecture photographer based in Kelowna, we often get the opportunity to photograph some absolutely stellar real estate. Our assignments over the years for Valley Pool and Spa are never an exception. 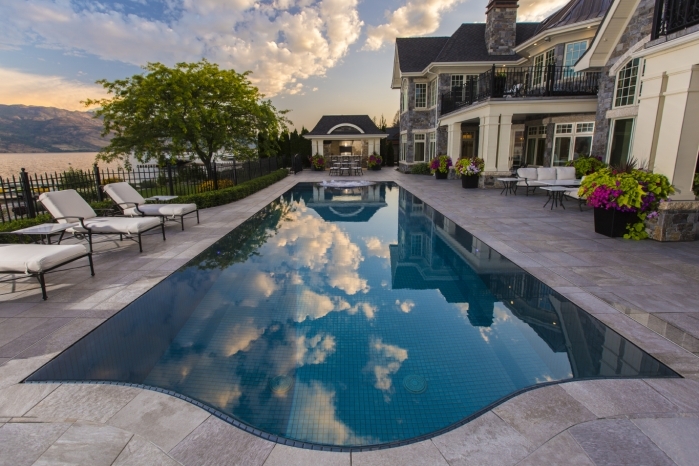 Gene Brown of Valley Pool and Spa is a world-renowned pool designer. He is recognized as one of the very best in his field and his creations are always an absolute pleasure to photograph. Earlier this month we collaborated on a fun architectural photoshoot with Anita Rea of KPMG, the company that manages Copper Sky. 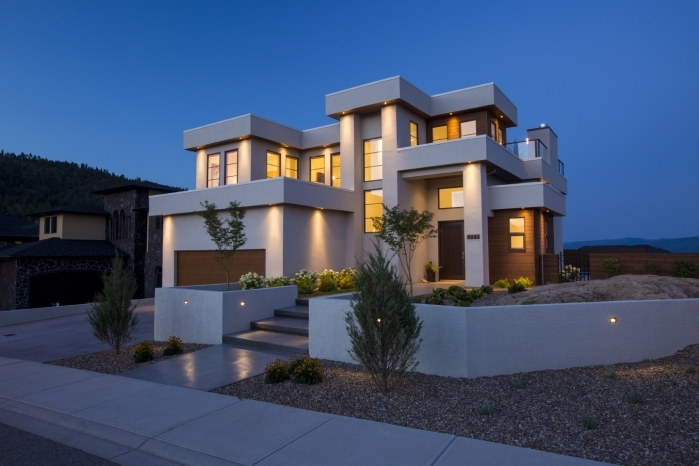 We also had the opportunity to partner up with Del Sol Developments in Kelowna to photograph a beautiful contemporary home in West Kelowna. 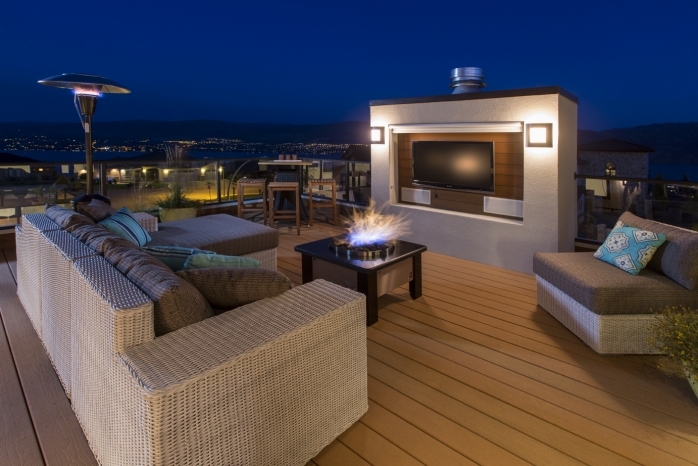 Imagine warm summer nights on this rooftop patio! 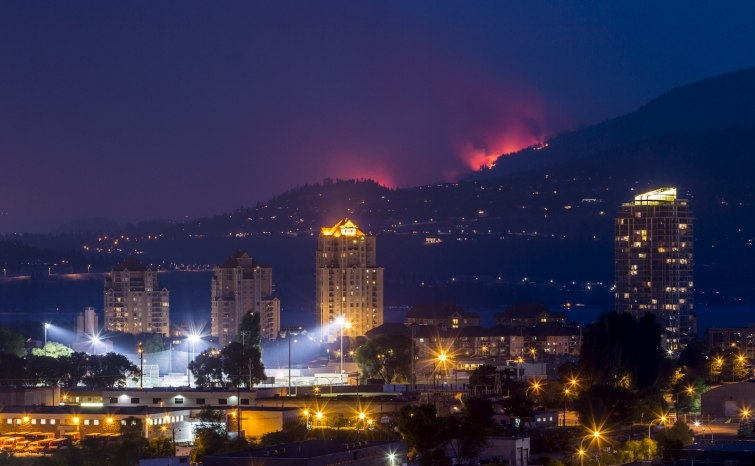 And finally, when wildfires raged through parts of West Kelowna this summer, I wanted to capture an image that set the wildfires within the context of the community and local iconic architecture. This image ended up going viral in national news media coverage.